Do you believe in magic? Would you like to live in a house where everything seems alive? Then the House with a Clock in its Walls is for you. 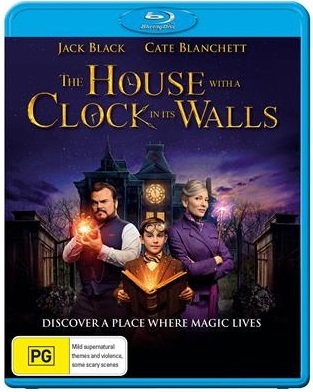 10 year old Lewis who lost his parents, comes to live with his uncle Jonathan and his next door neighbour Florence, played by jester Jack Black and the ever regal Cate Blanchet, in a mysterious, rickety old house where everything is so much more than it seems, so come a long for the ride. The town itself is drab and dreary, sleepy and boring, one night Lewis hears a ticking sound throughout the house and begins searching for it, only to find his uncle smashing a wall with an axe, frightened he flees back to bed, as various objects in the house come alive, Johnathan is then forced to tell Lewis he is a warlock and his neighbour Florence is a witch. Against his uncles’ better judgement Lewis begins excitedly teaching himself magic. 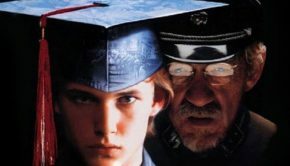 On his first day of school he meets Tarby who befriends him in order to win the school election, after which he abandons Lewis, meanwhile Lewis’ mother has been visiting him in dreams, after Lewis laments that Tarby does not see him as a friend, she suggests to use a spell from the forbidden spell book his uncle keeps under a serious set of locks and keys. On Halloween night, he and Tarby venture into the cemetery and guided by the necromancy spell book revive the ghost of Izard, the previous owner of the house, a nefarious warlock who was once Jonathan’s friend. Together with his thought to be dead wife, they return to the house and reveal that the clock in the house is set to rewind time to before humans existed so as to wipe away the pain they cause each other and to the world; an end to all wars and disputes. 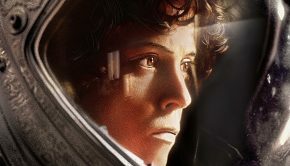 Lewis stops them, by letting go of the pain of his parents’ deaths, using the magic 8-ball his parents gave him to stop the clock and finding his own magic to defeat Isaac and Selena. 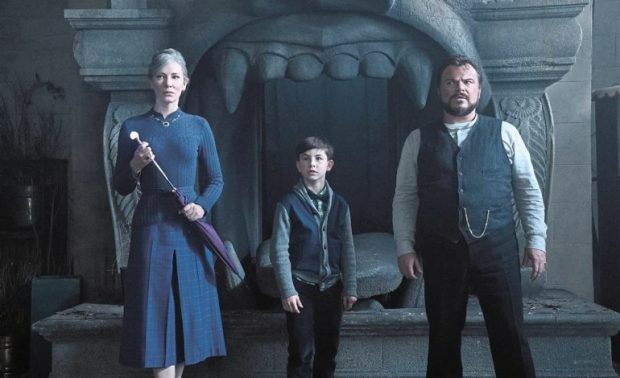 Jack Black has never looked cooler in my honest opinion, whoever did his hair and clothes should be praised, it really suited both him and the role, *ahem* I’ve always enjoyed his films, they’re lighthearted films undertoned with real meanings and life lessons, and this one is no different. 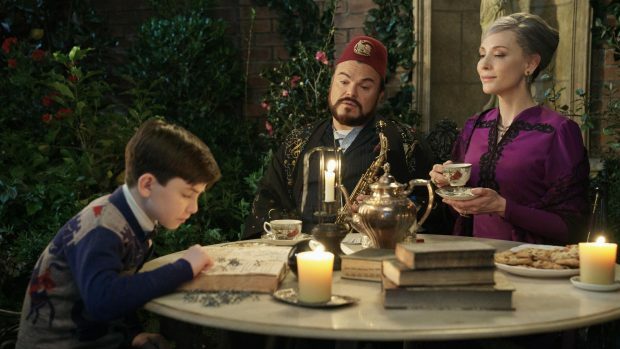 The house is cool, I only wished we could’ve seen more of it, it’s a very antique styled house, large rooms, elegant furnishings, it has a tonne of character in just the house alone, I mean who wouldn’t want an enchanted chair that acts like a dog? It’s so out of the ordinary but incredibly fun. Special effects are good here too, from the changing stained glass window in the staircase, the suit of armor coming alive and walking around, to the effects of harnessing the energy from a lamp and transferring (or failing to, in Lewis’ first attempt) to another. The house transforming into a clock was wicked too, something out of steampunk stuff. It was a bit unnerving to see a baby with Jack Black’s head on it though, that kinda grossed me out, which was probably exactly what they were going for, if so, it worked like a charm. And who could forget the compost farting winged lion hedge? That was a good touch, if a little repetitive. Audio effects were neat too, my recent addition of a surround sound system brought out the full capabilities of Blu-ray and boy does it immerse you in it. It takes a little while to adjust to surround sound as you find yourself chasing where sounds are coming from until you remember you have speaker all around you and that’s the whole point of it. All across the board audio was above average, from the lion hedge roar, to the growl of pumpkin monsters, the zap of electricity spells, the clanking of clock gears, the puff and sputter of Jonathan’s old car. All of these sound great and you really get a sense that the house is really another realm within our own. With stellar voice performances from Cate Blanchet and Jack Black, there’s really nothing I can really fault here, if anything it would be that the ambient volume sometimes makes hearing actor’s lines a little difficult but otherwise the ambience does well to make the scene. 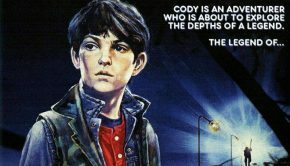 There’s a number of cool bonus features including, deleted scenes, a gag real, movie magic, which explores locations, special effects and the like, Warlocks and Witches a four part feature taking a deeper look into the main cast roles, Tick Tock; bringing the book to life, a short feature that looks at the book and repurposing it for screen, director journals and heaps more, I won’t list them all, but they’re all great little extras you come to expect in Blu-ray releases that is sadly missing from standard releases. 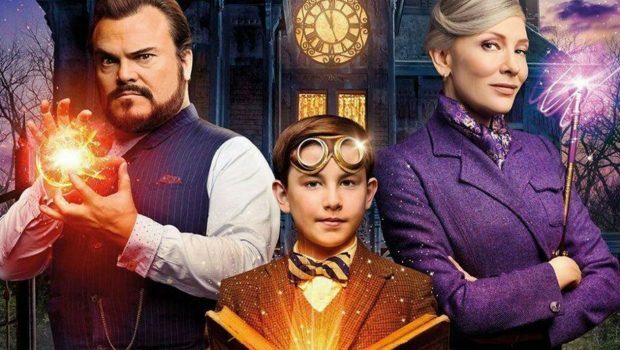 All in all, the House with a Clock in its Walls is a great movie that I highly recommend to see if you haven’t already, a fun lighthearted magical adventures with a deeper meaning that has you wishing you could do magic like these guys, wouldn’t it make life oh so much easier!